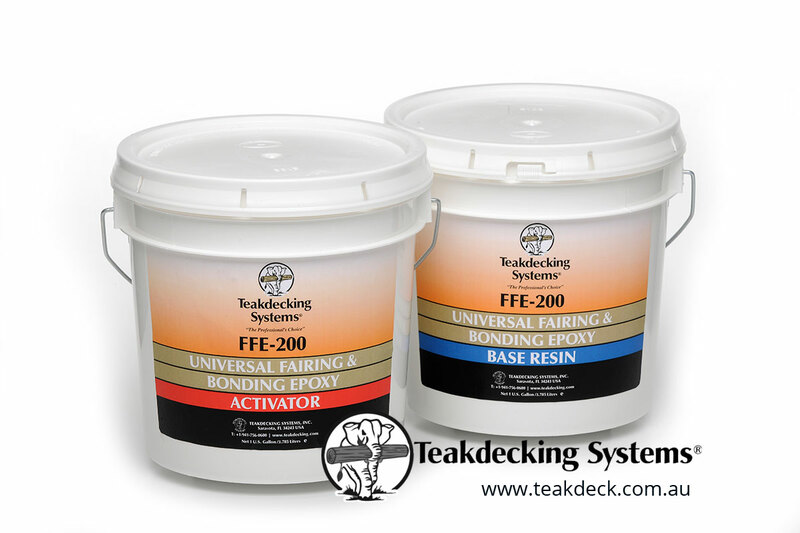 FFE-200 Fairing & Bonding Epoxy is a medium viscosity epoxy fairing/bonding compound blended to yield a light weight, flexible and easily sanded system for use as both a fairing compound for uneven surfaces and in bonding of teak decks to faired surfaces. 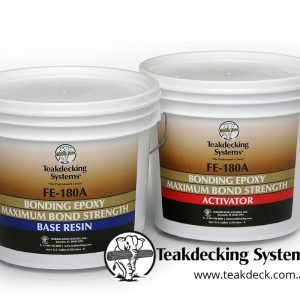 FE-180A Bonding Epoxy is a flexible epoxy, formulated to achieve maximum bond strength between teak and most common marine structural materials such as wood, fiberglass, aluminum and steel. Its primary purpose is to achieve a high strength bond to less-than-perfectly–prepared substrates.